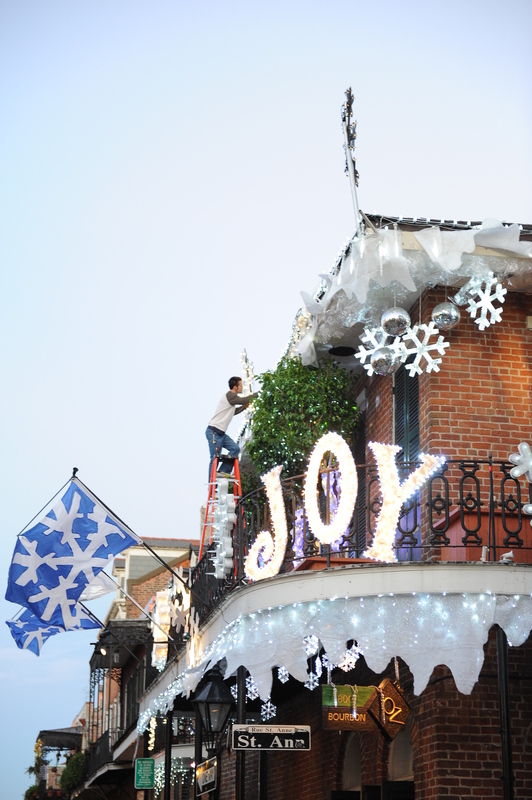 The holidays in New Orleans are filled with traditions and events for the whole family to enjoy. 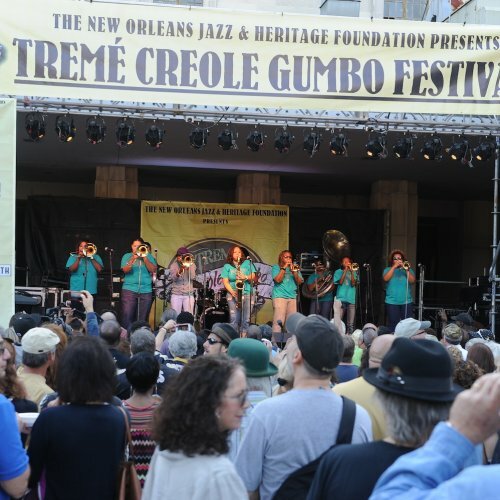 While New Orleans is a predominantly Catholic city – see St. Louis Cathedral and the Saints – the city is also home to Touro Synagogue, the first Jewish congregation in the Gulf South, established in 1828. This year, the first night of Hanukkah falls on Sunday, Dec. 2. From then until Dec. 10, the eight days of Hanukkah are a celebration of spirituality over materialism, light over darkness, and the holiday commemorating the reclamation of the Holy Temple in Jerusalem and the Maccabean Revolt on the Seleucid Empire over 21 centuries ago. 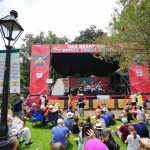 Here’s how you can celebrate in New Orleans. On the first night of Hanukkah, celebrate with the community as the Menorah is lit on the Riverfront. Enjoy music, kosher food, entertainment, and children’s activities at this event. The grand Menorah lighting will take place at 5 p.m. on the terrace overlooking the Mississippi River. Enjoy cuisine from James Beard Award-winning Israeli Chef Alon Shaya at his New Orleans restaurant, Saba. For the eight nights of Hanukkah, enjoy a dinner menu featuring a house-made Latke Board, with Saba’s signature potato pancakes, wood-roasted apple butter, and cultured butter, accompanied by a healthy portion of labneh with chives, whitefish salad, sumac-pickled red onion, soft boiled egg, and fresh herb salad of watercress, dill and parsley. Reservations can be made here. 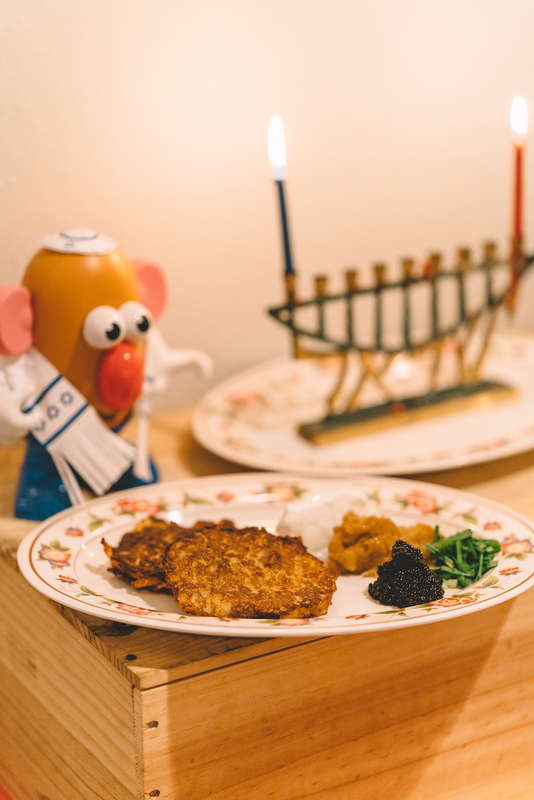 Held for six nights during Hanukkah, Marjie’s Grill will offer a new latke dish every night. Enjoy fun creations like the Everything Bagel Latke served with capers, shaved onion, and lox, the Korean Seafood Latke, or the Sweet Potato Latke. Dinner will begin at 5 p.m. each night with a Menorah candle lighting at sundown. The Jewish Children’s Regional Service presents this Chanukah celebration. It’s a night of live music from the Joe Gelini Trio, a silent auction, an open bar, and delicious latkes whipped up from Chef Adam Biderman, owner of The Company Burger. Proceeds from the event go to support Jewish children throughout the Greater New Orleans area through needs-based scholarships. Tickets are $30 in advance. Louisiana’s oldest congregation has their Shabbat Evening Chanukah service at 6 p.m. followed by a special Chanukah dinner and Bingo Tournament at 7:15 p.m. 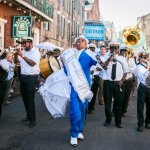 In New Orleans, there are parades year round. The Mobile Menorah Parade lives up to its name as a parade of 10-15 cars with Menorahs mounted on top take to the streets. 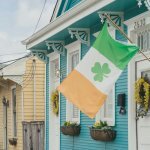 The parade begins at 7037 Freret St., heads down St. Charles to Poydras, then toward the French Quarter to Esplanade Avenue before heading back around to Royal and to St. Charles back Uptown. Make sure to catch a custom designed Chanukah bead while on the route! As Chanukah draws to a close, celebrate at the New Orleans Jewish Community Center. Free and open to the community, this celebration will include a Chanukah dinner and a Menorah lighting. Live music will be performed by bluegrass band Nefesh Mountain.